A dictionary app can be a handy tool. Many have features such as a word of the day to help expand your vocabulary. Those learning languages for the first time can find them useful in defining words they don’t know. They’re valuable learning tools. It’s even better when you conveniently have them on your mobile phone. 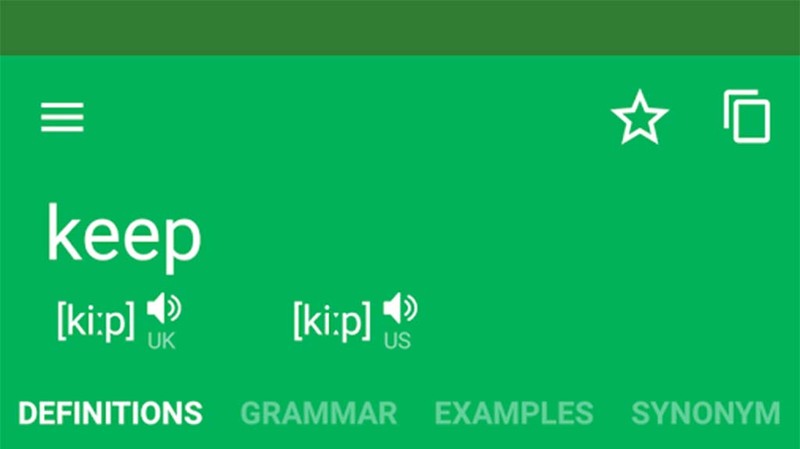 Here are the best dictionary apps for Android! Here are some related app lists that also teach things! Advanced English Dictionary and Thesaurus is a very above average (and poorly named) dictionary app. It boasts over 1.4 million words along with a slew of decent and unique features. That includes a bunch of synonyms, antonyms, hypernyms, hyponyms, meronyms, and basically any other nym that you can think of. The app also has offline support as well as a tool that defines words when you copy them from another app. Thankfully that feature can be disabled. It's relatively cheap and not half bad. The simply named Dictionary app is a pretty decent option. It has three sources. You'll find words from Webster's dictionary, The American Heritage dictionary, and Roget's Thesaurus. The app contains a word of the day feature along with a thesaurus, a dictionary, translations to more than 40 languages, and more. Most parts of the app are also available offline. Additional features include idioms of the day, audio pronunciations, word etymologies, and various other dictionaries (financial, medical, etc). The free version contains advertising while the $1.99 pro version does not. It's definitely among the better dictionary apps. Dictionary.com is one of the most popular dictionary apps out there. It has a ton of features, including a word of the day, audio pronunciations, a translator for over 30 languages, and even the word origins. You can buy additional dictionaries as in-app purchases. They include a slang dictionary, idioms and phrases, and even a medical dictionary. Overall, it's a fairly solid app. However, it does play fast and loose with permissions. That has chased some of the more security conscious away. Otherwise, it's pretty good. Dictionary Linguee is one of the newer free dictionary apps. It specializes in cross-language translations and definitions. It supports English, Spanish, French, German, Chinese, Japanese, and about a dozen other languages. You'll also get a search (which includes translations), audio pronunciations, example sentences, and more. Comparatively speaking, it's a rather simple dictionary app. However, the whole app is entirely free with no in-app purchases or advertising. That makes it a pretty decent option. The Merriam-Webster Dictionary is one of the more well-known dictionary apps out there. The name recognition alone has made it extremely popular. Thankfully, it's also riddled with features. On top of the standard word definitions, the app features word games to increase your vocabulary. It also features an integrated thesaurus, example sentences, audio pronunciations, word of the day, and many more. The free version is riddled with apps while the $2.99 version is not. Aside from the aggressive advertising, the app is pretty decent overall. English Dictionary is another one of the better free dictionary apps. It boasts a word base of 239000 words. That's probably more than you'll ever need. It also has a variety of features that you don't see every day. There is a randomizer that lets you look up random words. You can also choose between a light and a dark theme if you prefer. There are even some cute little animations like you're flicking through a book. Best of all, it's completely free with no in-app purchases or advertising. It's worth checking out. Check out these tangentially related articles! 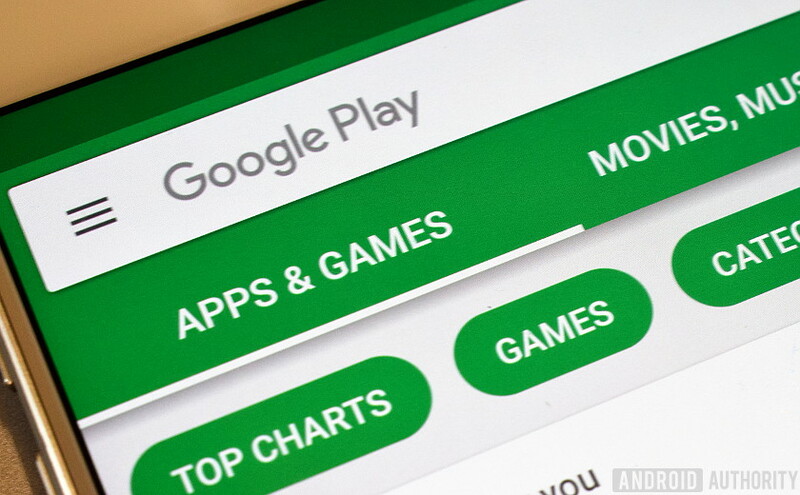 It's true that Google's app isn't officially a dictionary app. It can be used to look up words, though. Using either the voice or text command, you can simply ask Google the definition of any given word. It's a good option for those who don't need a full-fledged dictionary app but still want to know the definition of things. It also comes with all of its usual features, like Google Now, Now on Tap, translation features, news features, and reminders. Again, it's not great if you need a dictionary app that does more than provide definitions. However, it is more than good enough for looking up a word really quickly. Offline Dictionary is another one of the dictionary apps that focuses on multiple languages. It supports over two dozen languages. Each language has its own dictionary that can be downloaded for offline use. You can download as many or as few as you want. It also includes a built-in thesaurus if you need one of those. Aside from that, it's surprisingly light on features. The app does cover the basics, including sentence examples, word correction, and audio pronunciation. It's a good option for those looking for something a little more simple. Pocket Thesaurus is another app that's technically not a dictionary app. It can be used with one to give you an even greater understanding of the English language. The app boasts a 20MB install size which is fairly reasonable considering that it covers 90,000 common words. There is also a floating thesaurus mode that lets you see synonyms of words simply by selecting them. It works well when paired with a similarly simple dictionary app for a one-two combo. The free version has ads while the paid version does not. Otherwise, the two apps are pretty much the same. WordWeb Dictionary is one of the more popular free dictionary apps for Android. It features 285000 words, 225000 word sense definitions, and more. There is also a built-in thesaurus, pronunciations, and more. Perhaps its most unique feature is the ability to find commonly misunderstood words or know the difference between words that sound similar. It's also usable offline, is completely free, and has no in-app purchases or advertising. It's relatively simple and doesn't have common features like audio pronunciations. Otherwise, it's a solid app. Spanish to English dictionaries and phrasebooks! French to English dictionaries and phrasebooks! German to English dictionaries and phrasebooks! Italian to English dictionaries and phrasebooks! Romanian to English dictionaries and phrasebooks! Arabic to English dictionaries and phrasebooks! Persian (Farsi) to English dictionaries and phrasebooks! Hindi to English dictionaries and phrasebooks! Russian to English dictionaries and phrasebooks! Chinese to English dictionaries and phrasebooks! Japanese to English dictionaries and phrasebooks! Korean to English dictionaries and phrasebooks! Indonesia to English dictionaries and phrasebooks! Filipino (Tagalog) to English dictionaries and phrasebooks!